With so many fad diets out there, and some with very little science to back them up, it can be difficult to discern what is right for you. Join NUNM’s nutrition program, as we take a look at popular diets and break down the science. Jessica Gilbreath, Master of Science in Nutrition student, discusses the scientific benefits and potential deficiencies associated with a plant based diet. A plant-based is diet is one based primarily on whole foods and plants, including vegetables, fruits, whole grains, legumes, seeds, and nuts. There are many routes an individual may take when opting to take on a plant-based lifestyle including vegan, vegetarian, or whole food plant-based (WFPB). A vegan diet omits all animal products, including dairy, meat, poultry, seafood, eggs and sometimes honey. Vegetarian diets exclude all meat and poultry from their diets but may retain eggs, or dairy. WFBP emphasizes whole, minimally processed foods, limits or avoids animal products depending on the individual’s preferences. Is a Plant-Based Diet Good For Everyone? Naturally, what we eat depends on who is eating. 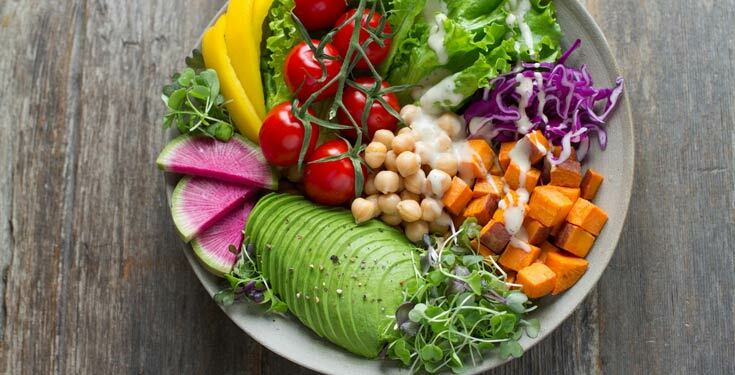 The general opinion around plant-based diets is slowly shifting from the strict ideals of vegan and vegetarian to a flexible way of life that can be tailored to the individual. Plant-based diets are generally considered safe and healthy, but do require planning and lifestyle shifts around the foods an individual is choosing to consume. Choosing to eat primarily plant-based may positively impact the environment and improve the health of certain individuals. Tuso PJ, Ismail MH, Ha BP, Bartolotto C. Nutritional Update for Physicians: Plant-Based Diets. Perm J. 2013;17(2):61-66. Lanou AJ, Svenson B. Reduced cancer risk in vegetarians: an analysis of recent reports. Cancer Manag Res. 2010;3:1-8. Pistollato F, Iglesias RC, Ruiz R, et al. Nutritional patterns associated with the maintenance of neurocognitive functions and the risk of dementia and Alzheimer’s disease: A focus on human studies. Pharmacol Res. 2018;131:32-43. Springmann M, Wiebe K, Mason-d’croz D, Sulser TB, Rayner M, Scarborough P. Health and nutritional aspects of sustainable diet strategies and their association with environmental impacts: a global modelling analysis with country-level detail. Lancet Planet Health. 2018;2(10):e451-e461. Interested in nutrition? NUNM has several nutrition programs to choose from: online or on-campus Master in Nutrition, a 3-year Accelerated Bachelor to Master in Nutrition and a Bachelor in Nutrition program. Sign up and request more information to learn more about your options!